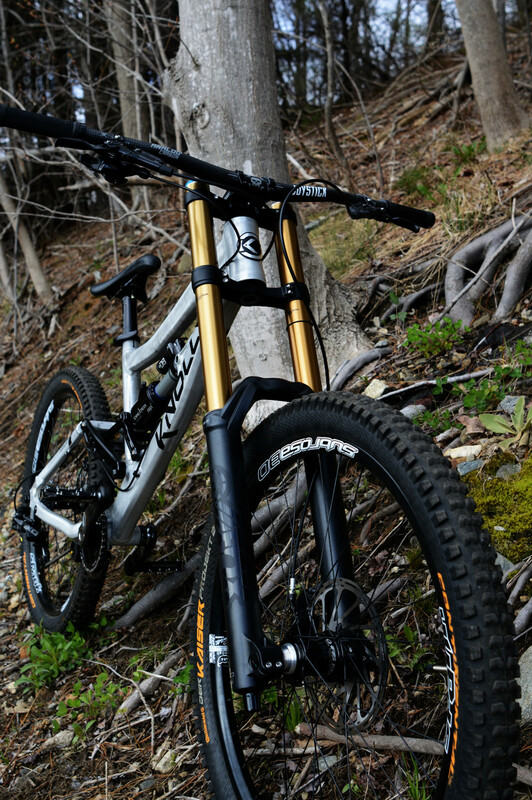 2015 Knolly Podium - Adam's new race rig. 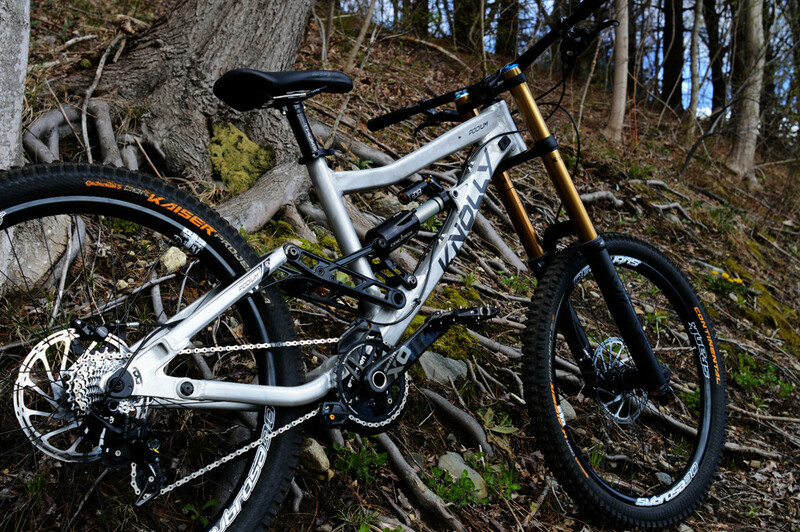 Full race spec w/ a 2015 Fox 40 Air on the front, CCDBA-CS on the rear. 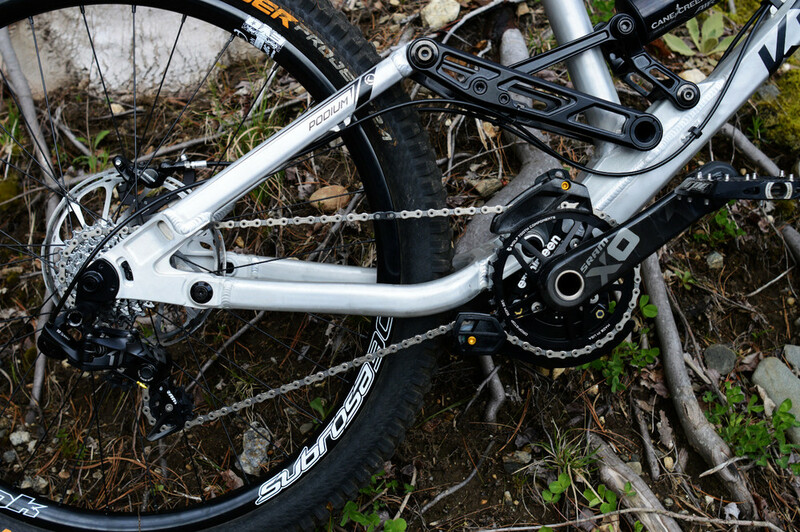 Custom wheels with Spank Subrosa's laced to King hubs. 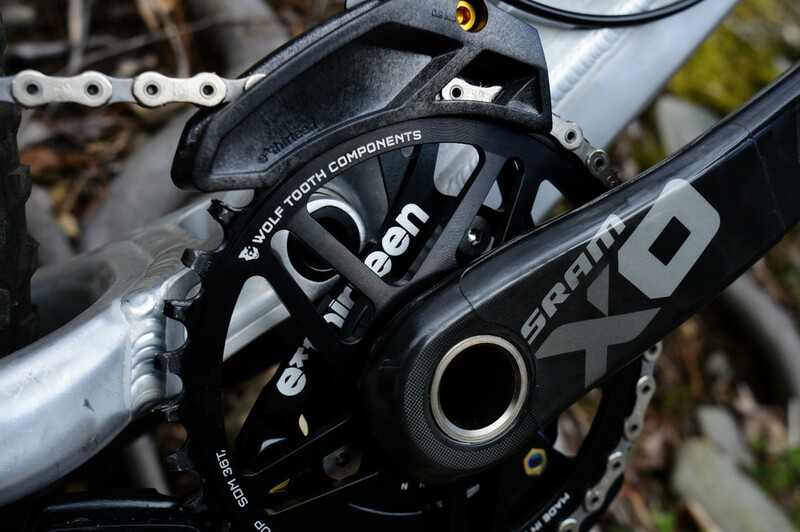 New SRAM XO1 DH 10 speed drivetrain and Guide RSC brakes. 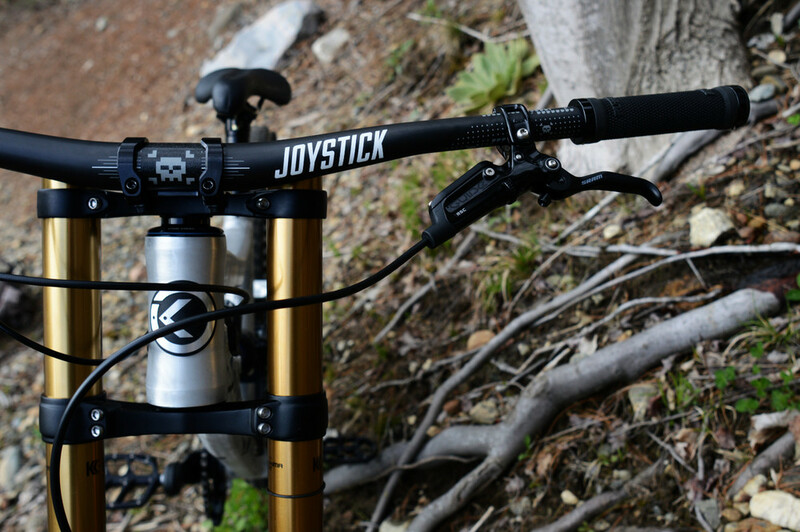 Joystick saddle, stem, and carbon bar and Hope F20 pedals. 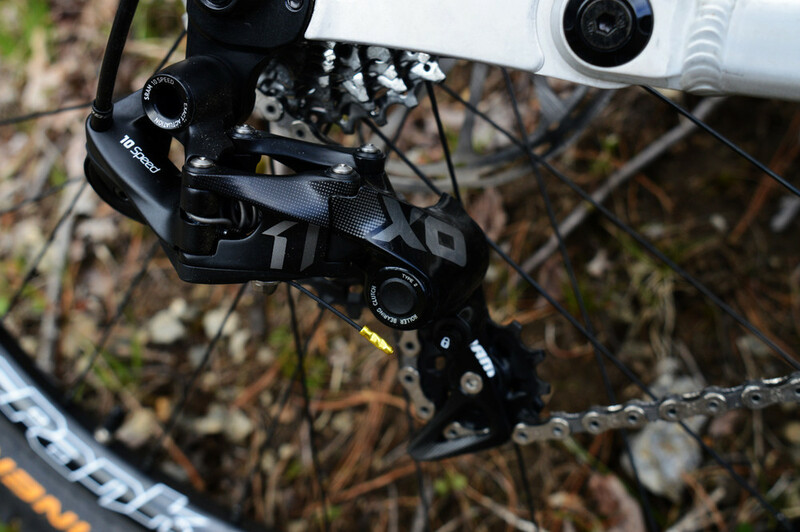 This is a world cup DH race bike - the finest of its kind decked in the finest parts for the task. 35 pounds 11 ounces of fast - really fast. Don't need to say much more.